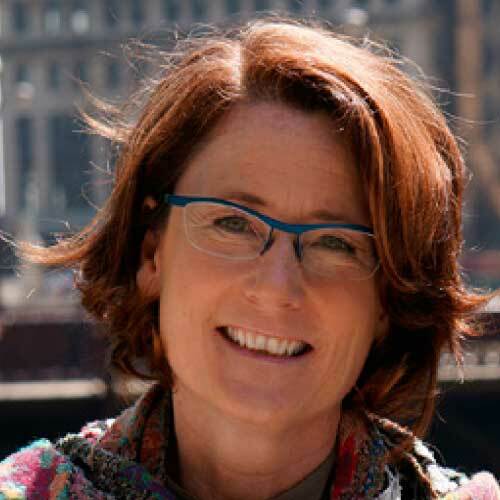 Carol McGury leads the team that delivers powerful results to SmithBucklin's client organizations through the creation and management of educational programming, conference design, business model development, marketing, technology, logistics, and trade show and sponsorship sales and fulfilment. Due to heightened competition in the event marketplace, it is critical for organizations to annually rethink their congress strategies and redesign their educational programs and exhibitions to drive attendee experience. This re-invention helps organizations re-energize attendees, exhibitors and sponsors every year. One approach to redesigning the experience is to keep 80 percent of your congress consistent while reformatting the other 20 percent to address the needs of a segment of your audience. This audience segment could include valued partners, exhibitors and sponsors, or a specific attendee demographic that you are trying to attract or retain. INCOMPAS, the leading trade association representing communications and technology companies that provide broadband communication products and services to businesses and residential customers, leveraged SmithBucklin's creative design approach to restructure its congress and exhibition. Educational sessions were moved into a center "HUB” within the exhibition, and exhibition receptions were increased to maximize traffic. Attendees and exhibitors viewed the exhibition as an integrated networking area and traffic increased by more than 25 percent. Organizations also are reinventing their congress experience by engaging their exhibition attendees in special areas designated for wellness and creative activities. These areas invite attendees to step away from a busy day of learning, decompress and network with like-minded individuals while painting, participating in a fitness activity, or tasting wine. These activities also attract millennials, who prefer hands-on engagement versus passive listening. Personalization is another way to enhance congress participants' experience. Introducing the element of surprise into your congress truly delights participants. They leave the event talking about what happened and wondering what will happen next year. An example is called ROCKs - Random Occurrences of Conference Kindness. SHARE, an enterprise IT user group, leveraged this concept for its 60th anniversary celebration. Attendees received small gifts, such as gift cards and branded products, when they least expected it - waiting in line for coffee, asking a question at an educational session or simply networking at a reception. By employing ROCKs at its congress, SHARE created fun, lasting memories for its attendees. Similarly, the Association for Computing Machinery's Special Interest Group on Computer Graphics and Interactive Techniques (ACM SIGGRAPH) - an international community of researchers, artists, developers, filmmakers, scientists and business professionals with a mission to foster and celebrate innovation in computer graphics and interactive techniques - delivers strong congress engagement for its more than 15,000 attendees. Students and members of the community serve as ambassadors of the congress; the event features simulations in augmented reality and virtual reality as well as hands-on student competitions. A newly created VIP program for attendees provided a select group of attendees to enjoy benefits that included a private registration area, early access to highly attended sessions and special access to the exhibit hall. The platinum category was limited to 300 participants and sold out quickly. Redesigning the classroom experience also increases participant engagement. Because adult learners retain information better when they are immersed in the experience rather than attending lectures, organizations offering educational programs are having success with gamification, having speakers serve as dialogue facilitators, or providing interactive sessions led by members. The American Urogynecologic Society (AUGS) - the premier nonprofit organization representing professionals dedicated to treating female pelvic floor disorders - conducted a plenary session at its annual scientific congress that featured a live, remote broadcast of three operations performed by AUGS members who are leading surgeons in the field. The session also included physicians on-site moderating and conducting cadaveric demonstrations. It provided a rare opportunity for attendees to learn directly from renowned surgeons and physicians. Organizations should focus on evaluating and redesigning their event models to address the emerging needs of attendees, exhibitors and sponsors. Pushing for new ideas will help continually improve the event each year, which will re-energize stakeholders and lead to greater participation.